Cornbread is cornbread. Nothing amazing about it in particular, but you have to wonder why it has been a kitchen staple for hundreds of years. 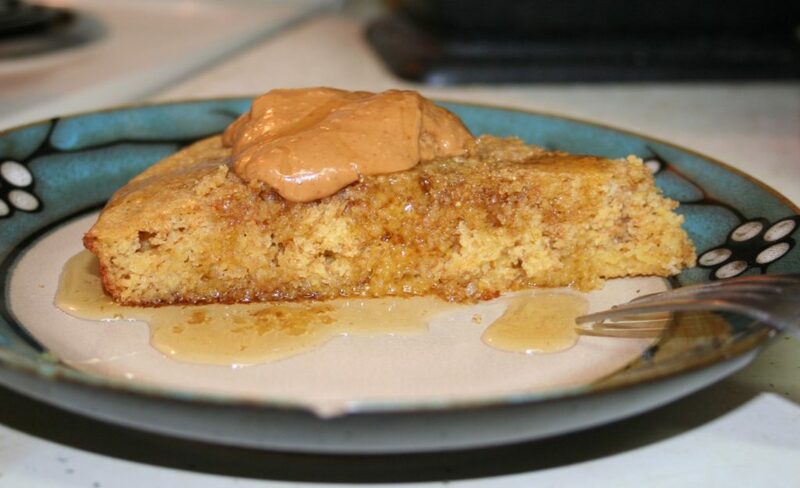 Most likely because cornmeal is and was readily accessible and cornbread could be made with as few as three ingredients. Now I am not saying that a three ingredient cornbread tastes amazing, but it helps me to understand why it has fed so many generations. 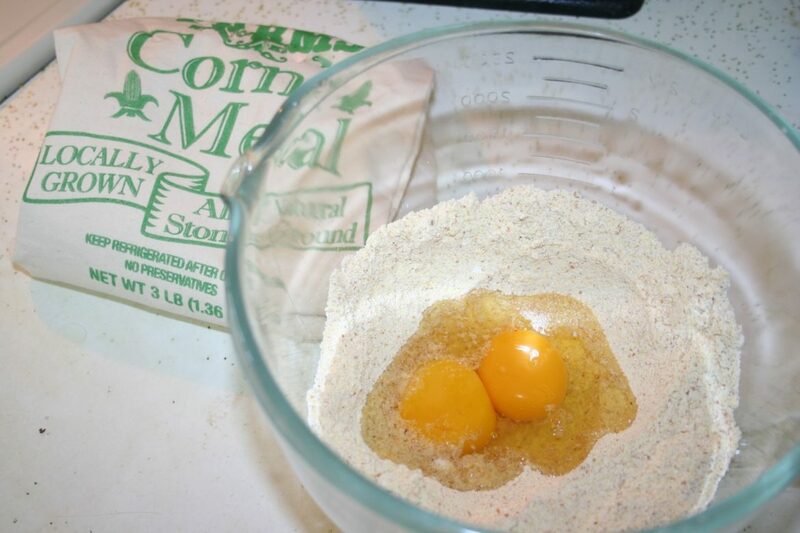 My cornbread has a few more than three ingredients and is super simple. There is no need to buy premixed cornbread packages. This is almost just as simple and takes only a few minutes longer to make. 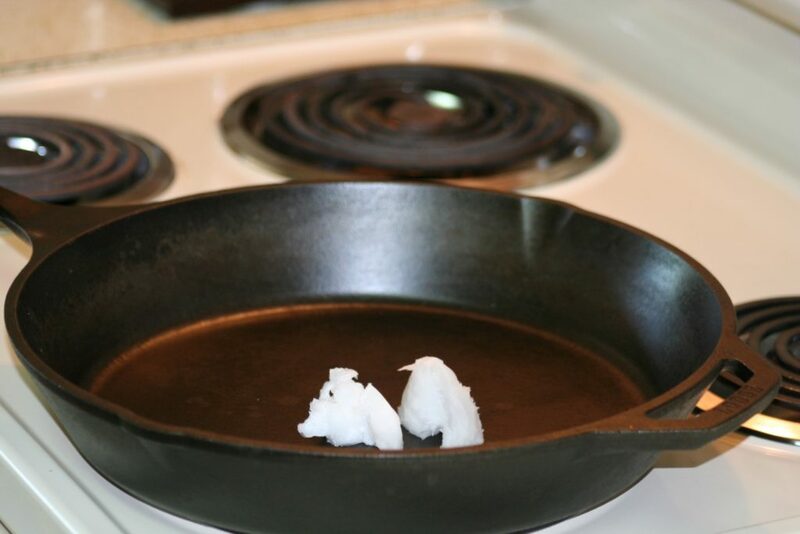 Place the oil in the cast iron skillet. Then set it in your cold oven. Turn your oven to 400 degrees and let it preheat while you mix your ingredients. 2. In a large bowl mix dry ingredients. Add milk, egg and honey. Mix well. At this point the oil in the pan should be very hot, so be careful on this step. 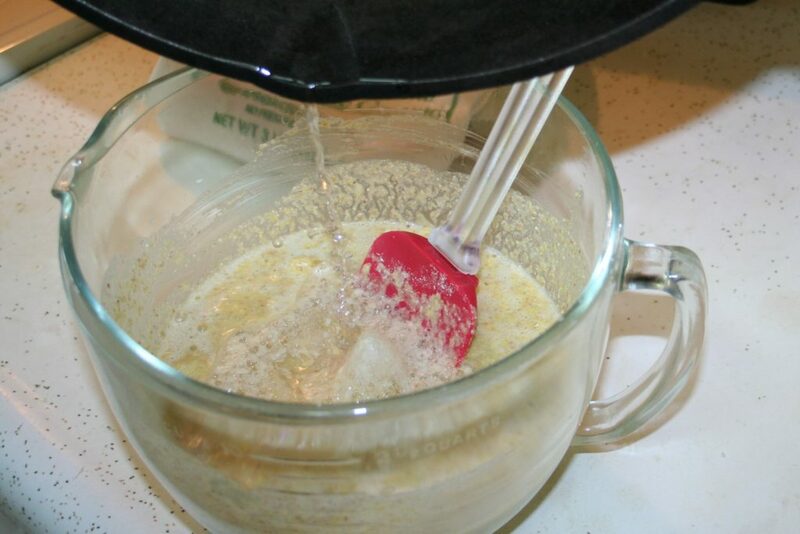 Pour the hot oil directly into the mixing bowl. It will bubble a little bit, but I have never had it pop. Stir together quickly and pour the whole thing into the hot skillet. 3. Return the skillet to the oven and bake for 10-15 minutes or until when you touch the top it springs back just a little. Enjoy!